The best part – almost no cooking involved. The only effort required is grilling the halloumi and toasting the pistachios for a few seconds. Perfect! Toast the bread and place on plate to assemble. Lightly toast the pistachios in a pan and set aside. Reheat the same pan with some olive oil. Once heated through, grill the halloumi for a few seconds on each side. Place on the toasted bread and drizzle 1 teaspoon of pomegranate molasses over. 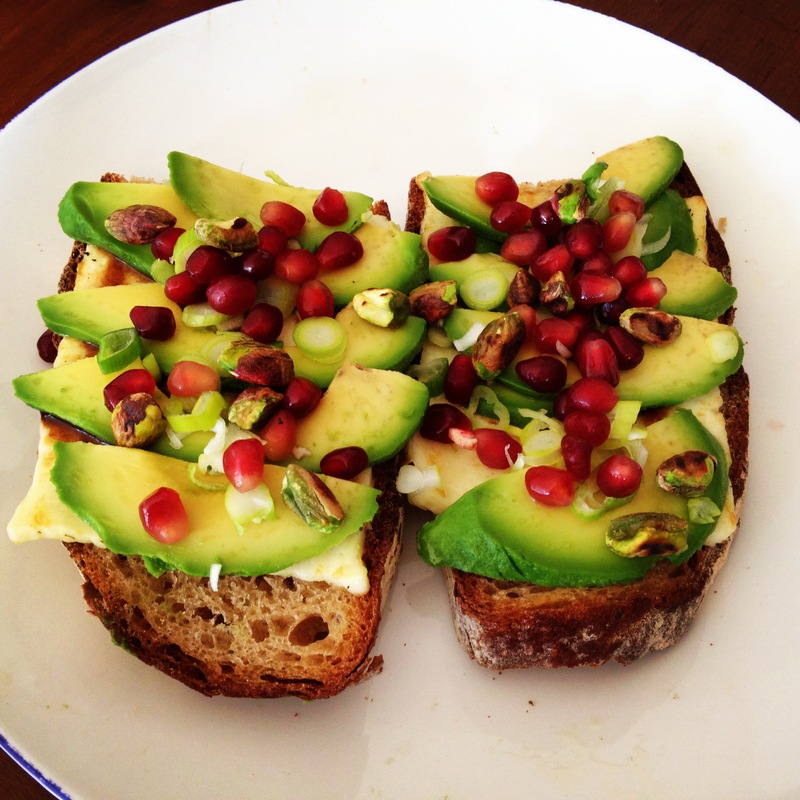 Top with the thin slices of avocado and then sprinkle the pomegranates and pistachio on top. Finish with another drizzle of pomegranate molasses followed by a garnish of spring onions.